You are here: Home / Uncategorized / Which ACL Graft Is Right For Me? This is a great collection of ACL information and resources here, Adam! I am glad you put this together. Also, I’m not judging you but watching those videos of athletes made me hurt a little. 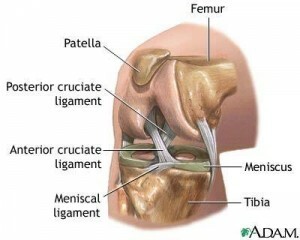 I found your ACL blog while researching my injury. My surgeon recommends using part of my hammy to reconstruct my ACL but per my research, will there be a risk my hammy will be forever weakened? How are you now and do u feel you made the right choice? Also, I just read Adrian Peterson opted to use his patellar tendon because he felt he needed his hammy for football and didn’t want the cadaver ligament because he didn’t want someone else’s body parts inside his..
First off, I am not a Doctor nor do I have any real expert medical opinion in the matter so please take my advice as just that, one man’s experience. With that disclaimer out of the way… I opted for the hamstring tendon for use in my ACL reconstruction and have seen great results. The surgeon/nurse told me that it would be like losing 10% strength in your hamstring which they said it generally not even noticeable. I personally haven’t noticed a perceptible difference and while I am not a professional athlete I still would like to be active and competitive in my own level. 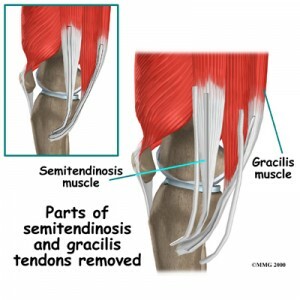 I have had friends do both the hamstring and patellar option with great results from each. ACL reconstructions have come a long way in recent years and now that I am 2 years into it I feel satisfied with my results. I too felt a little weird about the cadaver option but I really think it was just a mental thing. I can’t say it would be off the table should I ever have to have another ACL surgery. I know two women that had cadaver grafts with great success. Best advice I can give you is to feel confident in your doctor, pick the graft YOU have the most peace with, take your pre-hab and rehab seriously. Sorry, that you have to have it done but I suspect you will be back and active soon! Hope this helps. Thanks Adam. Very reassuring! Based on your info and other research I’ve done, all the grafting options are almost equal in stabilizing the knee. There are pros/cons as to infections, rehab time, pain, etc., but I really can’t go wrong with either one. As you said, it comes down to having confidence in my surgeon and putting in the rehab work.